A ring fit for a queen! 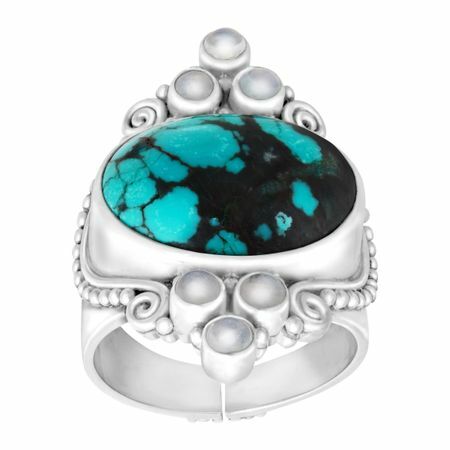 An impressive, bezel set turquoise cabochon is flanked on either side by multi-color moonstones for a mystical look in scrolling sterling silver. Ring face measures 1 3/16 inches in width.